Perhaps by its musically inspired name—in which I find no appeal being lyrically incapacitated—Gong Cha has never tempted me with its lavishly named tea drinks. 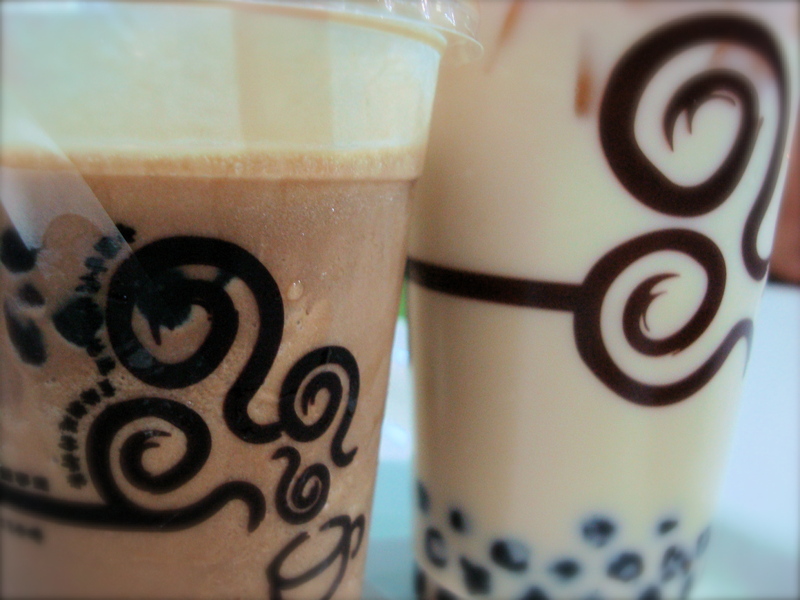 That was until I saw the gleaming queue at Glorietta (milk tea at an Ayala Mall, a rare find!) did I realize that well, maybe there’s hope despite its taunting name. The milk tea listing can be quite exhausting—the long line something to be grateful for having given us ample time to think,brainstorm and analyze the potential taste of every green tea combination. The “premium” milk teas start with the signature name Gong Cha, and I initially considered it an endeavor to create brand impact. The guess was a tad too academic, as explained by the cheery cashier. 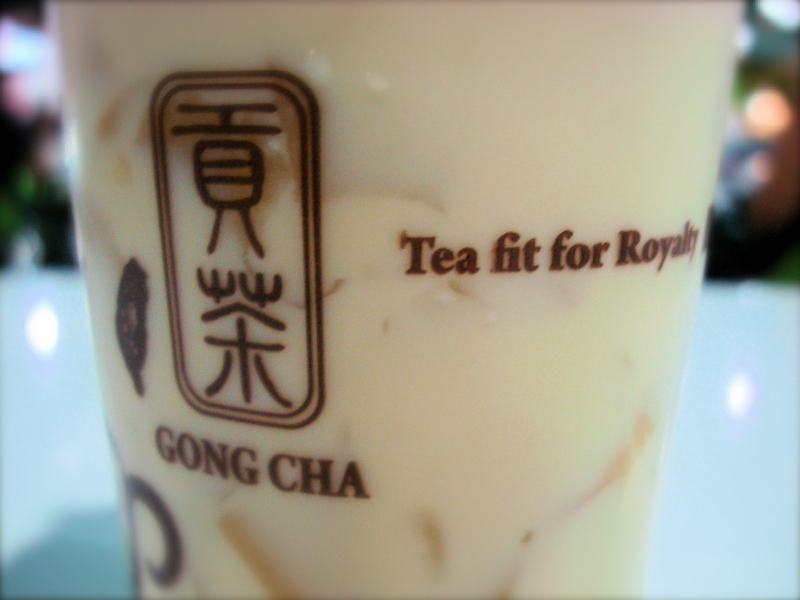 Gong Cha milk tea = with cream on top. Oh my, did you say cream? Good thing there was a second option. Going for the Large Milk Green Tea (30% sugar) with pudding (P105 total) was perhaps the wisest decision. Not really a fan of pearls, which seemed to create a choking feeling after every sip, the pudding provided a smooth sweet treat that didn’t interfere with the drink or clog the straw. The green tea was identifiable but rather overpowered by the supposed tinge of Jasmine. If I were to rename the drink, it would be more like Milky Jasmine with Green Tea (in the proper order of flavors). The 30% sweetness was tolerable yet compared with the 30% of other brands (Serenitea and Cha Time) this was one big, SWEET 30%. I cringe at the thought of 100% sweetness—a surefire nightmare for my dentist and weighing scale! Why many people would opt for Gong Cha can be no question with its massive list of exuberant flavors, tea selections, shakes, and price. Even tea cynics will find interest in their menu with their shakes (coffee, chocolate or milk flavor), creative mixes (like Yakult Green Tea) and ice cream specials. 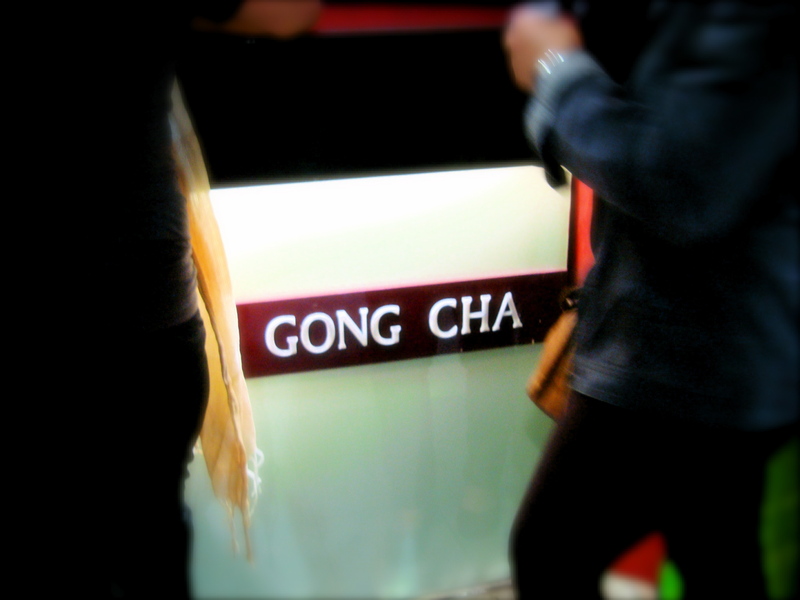 Still pondering over the origin of the name Gong Cha, I was looking forward to seeing a real gong be used to call out the orders, or a gong being used to lull the workers to their tea making rhythm. Wrong again. At least they didn’t have to sing out my name when they called out my order or it would’ve been Gone Cha for me.